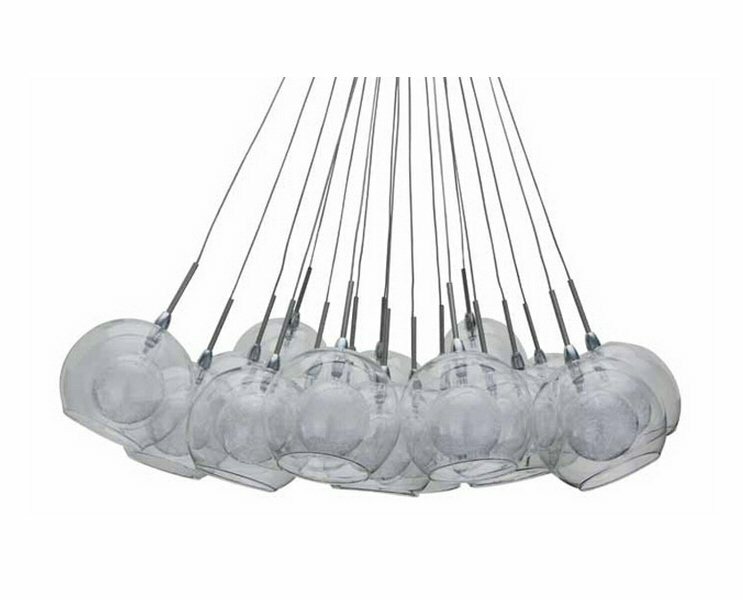 Nuevo Living Aura pendant features a cluster of 19 clear orbs made from borosilicate glass with interior globes delicately spun and frosted. A brilliant chromed steel canopy and fittings with stainless suspension cables adds to the elegantly refined contemporary aesthetic. dimensions: width-20"; shade height-3.75"; adj. 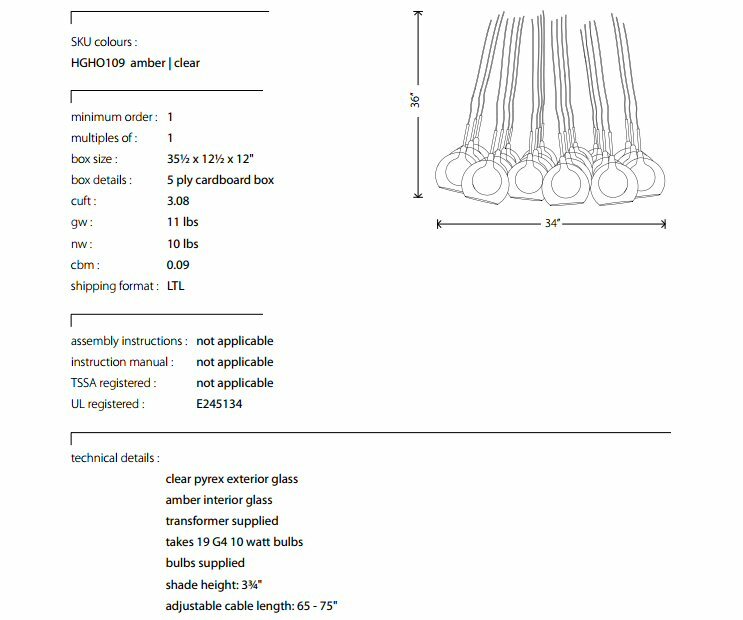 cable length-65-75"